Leaking showers, dripping pipes and blocked drains - we can fix them all! Coming home to an unexpected plumbing problem can be frustrating. Don’t waste more time waiting for the problem to become more serious, call our insured plumbers to take care of it for you. We can provide you with same-day service, so you can instantly go back to your normal way of life. 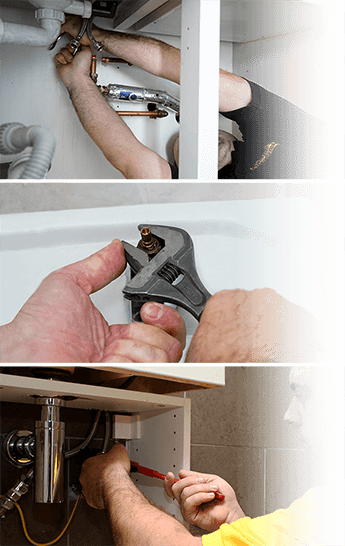 Why choose our plumbing service in Perth? We personalize our service to fit the need of every customer. We take the time to listen and understand your needs so we can fix your problem. This guarantees that our clients receive professional service to fit their needs. We value the opinion of our customer and we listen to every feedback in order to improve our service every single time. Our plumbers will come equipped at your property with all the necessary tools in hands to take care of the problem. Some of the plumbing replacement and installation jobs require additional parts and materials. We are capable to provide this for you, but please have in mind that the costs for them will be added to your final bill as an extra charge. 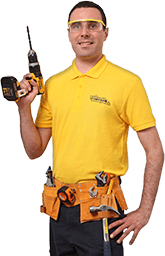 All of our plumbers are knowledgeable and professional to provide our customers with a pleasant experience. We will provide you with an in-depth clarification of your problem, listen to your concerns and provide you with a reasonable quote before proceeding with the service. No matter if you need a simple faucet repair or complex pipes repair, our professional plumbers have the knowledge and skills to solve your plumbing problem safely. We are dedicated to providing you with an enjoyable experience from your call to resolving your problem on time and on budget. We value your time and that’s why we made our booking process as simple as possible. You can request your quote here on our website by talking to one of our operators through the live chat or request a quote from our online booking form. You can also call our operator through the phone and receive an answer to all your questions! Combine services and repair your home in a day! Are you doing a thorough home renovation? Our technicians are experts in more than one field. If you need more than one service, we can arrange a whole team of specialist and send them for you to remodel your home. Save yourself time and money and combine the sink installation with wall painting or furniture assembly service!